Start a website/blog. Whether you want to start a simple blog about gaming or have a serious business website that you want to market, building a website is the first step to announcing your presence to the World Wide Web. Fortunately, in these times of full packaged services, finding a company that can take you from beginning to end of building as website is much easier than it used to be. An outstanding example of such a full-fledged service is NicBuy.com, who has built a firm and positive reputation as a leader in the field of complete Internet business solutions. They are able to serve you from basics like a blog about your hobby to detailed online commerce operations that sell products or services online, and everything in between. To create a presence on the Internet, you need a unique domain name, so that everyone can find your particular web address. The most popular domain extensions end in .com or .net, but nowadays you can tailor your domain extension to fit your specific niche. It is generally agreed that the best and easiest websites normally end in “.com” so this is what is recommended to you. NicBuy.com can help you identify and reserve your domain name, so this will be a quick and easy step. 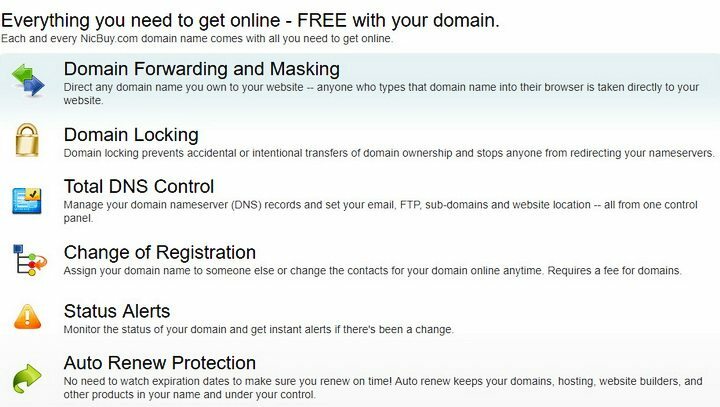 Normally, you purchase your domain name for 1 or more years; you will be notified well in advance of renewal so you never have to worry about losing your domain once you buy it. A web host manages all of your web traffic and offers you disk space to set up files, including videos and images. Buying web hosting for more than a year will let you get a free domain name of your choice. Web hosts also help you with back-end matters, like setting up email accounts and securing your website for ecommerce. Again, you will find that NicBuy.com can walk you through all of your options and make sure that you end up with exactly what you need to make your website succeed. You will also find your web host to be the ideal resource for performing online marketing efforts, such as search engine optimization, better known as SEO. NicBuy.com provides the best SEO tools to meet your needs and can easily integrate your selections into your website. Finally, NicBuy.com will make the installation of WordPress a breeze for you. The best news about using WordPress is that it is free! Yes, this is an open source program that receives tons of support from developers and users. You can use it to make a one page blog, or you can build an in-depth and professional website that offers paid memberships, e-commerce, and anything else you can imagine to drive your business to success. Build an interesting site and place ads on it to make big money! There are literally thousands of plugins which are similar to an app you install on your phone, most of these are free to use, they let you customize WordPress to fit your particular needs and style. Some of the plugins are all-purpose utilities, such as SEO optimizers and form builders, while others help you change the look and feel of your website. Adding pages or blog posts are crazy easy; if you can write an email, you will find yourself creating new web pages and building your website faster than you imagined was possible. The best thing about WordPress is that you can keep growing your website as your business expands or as your hobby deepens, so you can launch with a simple website and over time it will mature with many more pages and lots more visitors. At Remove and Replace, we believe that anyone and everyone can do it on their own, including building their own website. Contact us below to learn more about the many ways we can help you in anyway.